People looking at buying a car that can help them cut running costs and improve their green credentials may want to consider the latest addition to Ford's range. 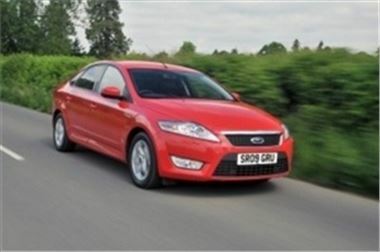 The Mondeo ECOnetic with 2.0-litre 115PS engine is an ideal choice for people looking to reduce their monthly outgoings, the company suggested. It pointed out the car boasts CO2 emissions of 140 g/km, meaning owners qualify for band E road tax &#150; currently set at £120 per year. The manufacturer also implied the vehicle might be able to save motorists money at the pump. It explained the model is capable of combined-cycle fuel economy of 54.3 mpg, adding this increases to 64.2 mpg when cruising on the motorway. Mondeo brand manager Jon Gunn-Smith said: "More people than ever are recognising that ECOnetic delivers the right balance for them." In other motoring news, Ford recently announced its automatic Fiesta had arrived in showrooms up and down the country.